One of the biggest perks of being a local 'New Yorker' is having access to Broadway and being able to enjoy the Theatre as often as possible. I don't take it for granted. Don't get me wrong I enjoy a blockbuster movie, but nothing brings words to life in the same way the stage does. 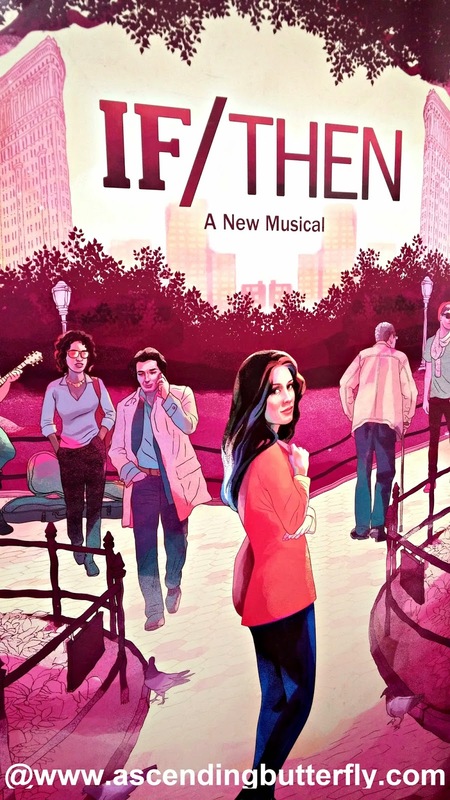 I got to check out If/Then the Musical. A Musical that addresses where 'choice and chance' collide. They are running a Social Media Campaign in conjunction with the show called If/Then Stories where they ask people to share their own If/Then Story - A pivotal moment in your life guided by a seemingly insignificant decision or random act of fate that changes you. I have to admit I'm a bit obsessed with the site and the stories, and following it's hashtag, #IfThenStories. The Musical and the campaign dovetail perfectly, let's face it we all have moments where one simple decision changed EVERYTHING. The lead character in the Musical, Elizabeth, is portrayed by Idina Menzel (of Wicked Fame) is a woman who is rebuilding her life in New York City (she had moved from NYC to Phoenix when she married, it opens with her returning to NYC after a divorce), and in one moment she will lead parallel lives, this musical is the story of both. Idina gives a strong performance, but I found Elizabeth was written in a way that the character just overthinks everything. There is a difference between wondering 'what if' at times and second guessing almost every decision you make. I think that was the part I couldn't relate to. But then again I'm a particularly decisive person and I rarely look back on my decisions good or bad. But you know it was well acted because sometimes I found myself holding back from yelling something at Elizabeth! This is NOT Frozen Folks, please don't bring your children, in one of the paths Elizabeth walks she has a fling with her married boss (played by Jerry Dixon) and her nominally bi-sexual pal (played by Anthony Rapp). I saw some folks with younger teens and many looked downright confused! Instead of a normal 'My Take' where I share my thoughts, I thought in the spirit of If/Then I'd share my If/Then moments, which actually all roll into each other. For personal reasons, in College I was forced to switch majors. I was a on a Pre-Med track and ended up switching gears to Mass Media Communications. A shy, science loving book nerd, I immediately felt like a fish out of water. Required courses included a class in Television Production where were forced to get in front of the video cameras and not just behind it. While it wasn't a random or impulsive decision by any means, changing majors changed my path in so many ways. I landed a internship at a well known Newspaper while still in school, went on to Television News-writing and freelancing for several Magazines. Years later I left the recruiting industry and went into the '.com industry' where I fell in love with the internet and learned the industry from the inside out. Eventually I gave up full time gigs all together to consult, write and start a Lifestyle Blog and Empowerment Community. Had I remained a recruiter, I may have never found my way to Life Coaching or to blogging. Had I not switched majors in college, my goal was originally Medicine I would have been a Cardio-Thoracic Surgeon right now as that was my original goal. While I have no doubt I would have been a great surgeon, I wouldn't give up writing for a single second. One decision changed my path and changed my entire life in the process! 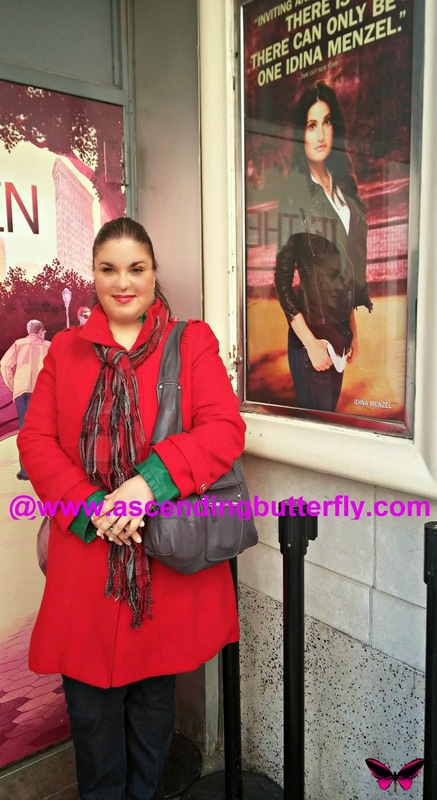 What is YOUR IF/THEN Moment Butterfly? FTC Disclosure: Ascending Butterfly was provided with If/Then Tickets for Editorial Consideration, all opinions are 100% my own! I am disclosing this in accordance with the Federal Trade Commission 16 CFR, Part 255 - Guides Concerning the use of endorsements and testimonials in advertising, you may check our Giveaway and Disclosure Page for additional information regarding Ascending Butterfly Disclosure. I love discovering other NYC bloggers! I'm actually seeing If/Then this coming weekend and can't wait! @B @ The Sequin Notebook - You are going to love If/Then, please come back here after you see it and let us know what you thought!